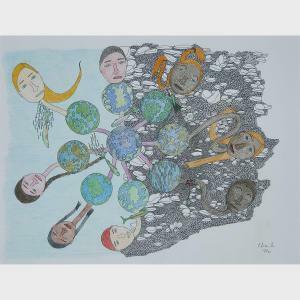 Find artworks, auction results, sale prices and pictures of Suvinai Ashoona at auctions worldwide. 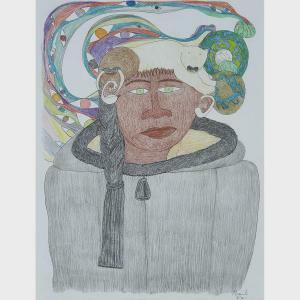 Based in Cape Dorset, Shuvinai Ashoona creates drawings in coloured pencil and ink that capture contemporary Inuit life and experiences in the far north. Her work is owned by numerous collections across Canada, including the Art Gallery of Ontario, the Hart House Collection and the University of Toronto (Toronto), the Macdonald Stewart Art Centre (Guelph), the MacKenzie Art Gallery (Regina), the National Gallery of Canada (Ottawa), the Canadian Museum of Civilization (Gatineau) and the Winnipeg Art Gallery. 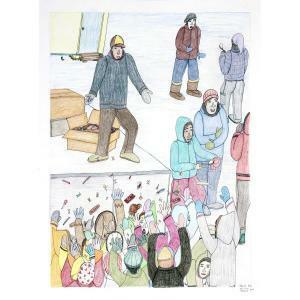 Corporate collections include BMO Financial Group Corporate Art Collection (Toronto), the Canadian Department of Foreign Affairs and International Trade (Ottawa), the TD Bank Group Art Collection (Toronto) and Fidelity Investments Corporate Art Collection (Boston). 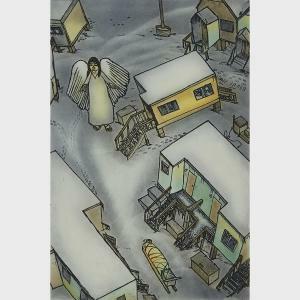 In 2014, Ashoona\’\’s work was included in \“Unsettled Landscapes\” at SITE Santa Fe (New Mexico). 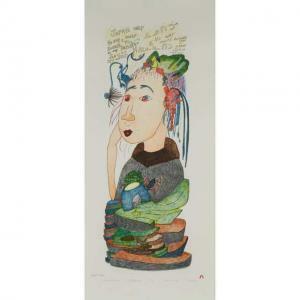 She is represented by Feheley Fine Arts (Toronto).